Is that software optimized yet? It wasn't, but Apple just fixed it with a patch. You won’t have missed the hysterical reporting around recent claims that Apple is throttling its all new high-end MacBook Pro, but it seems possible these alarms are blaring a little too loudly -- and Apple just fixed the problem with a software patch. 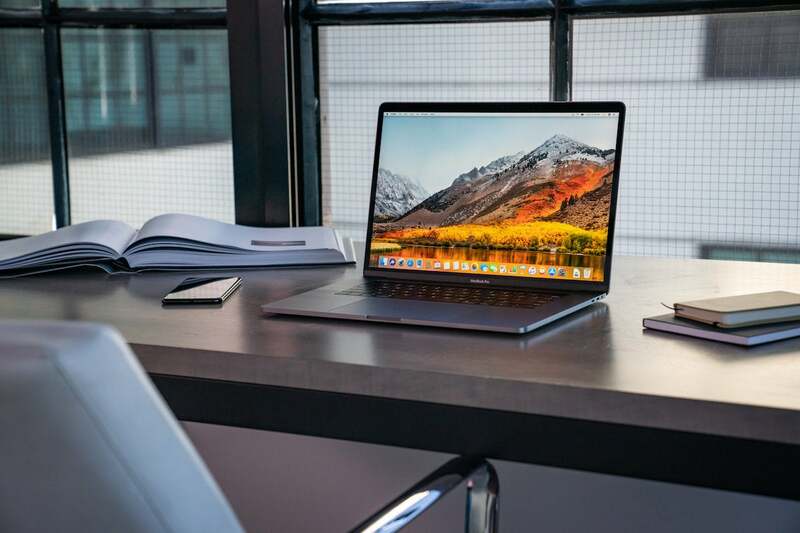 The claims are that Apple’s new high-end i9 MacBook Pro has been designed in such a way as to throttle processor speeds to be slower than the i7 in order to reduce the heat created when in use. The claims start with a video report from YouTuber, Dave Lee. He claims Apple throttles performance of the highest-end MacBook Pro chip to prevent the system over-heating. To support these claims, he shared tests he said showed that a Core i9 MacBook Pro 2018 actually took longer to render a video file in Adobe Premiere Pro than a Core i7-equipped 2017 MacBook Pro. He argues that Apple needs to increase fan speed to cool Macs faster, and improve the thermal design of its MacBook Pros. Others may counter his criticism with the suggestion that Adobe may need to improve the way it handles multicore processors. Update 7/25/2018: Apple has issued a software patch and a statement in which it says it identified a system bug that could cause such throttling in certain circumstances. Apologising, the company stressed that Mac performance should now match those claimed on its site. While Lee has gained attention with his claims, it seems possible they may be overblown. Not only does it seem possible Adobe has yet to upgrade Premiere to get best results from Apple’s new Macs, but even the Cinebench test Lee used to clock the speeds may be inaccurate. Perhaps the software used in the test is to blame? YouTuber, Jonathan Morrison is running his own series of tests on one of the latest MacBook Pros running a Core i9 chip. His tests show Final Cut Pro X delivers astonishingly better performance when running a series of relatively common pro workflows on one of the new Macs than you can expect when using Adobe Premiere Pro for the same tasks. That performance difference is immense, which suggests the performance limitations may not reflect Apple’s hardware, but the software chosen for the test. These 2017 tests of Premiere running on i9 PCs also seem interesting. Perhaps the test suite needs a patch? It is possible there’s a problem in the test software used in Lee’s tests. Dieter Bohn took a moment to ask Cinebench if the test software was accurate on the new Mac. Once again, then, it looks possible that the benchmark tests generated may be a little inaccurate, given the need for the test suite to be upgraded before meaningful results can be ascertained. Moor Insights & Strategy analyst, Patrick Moorhead is one of the world’s top tech analysts, and he’s been examining Lee’s claims. “’MacBook Core i9 big throttle on Premiere Pro’ story isn't adding up for me yet,” he wrote. “Can't correlate the eleven apps, benchmarks on Apple's website with the YouTube conclusions,” he added. Moorhead notes that many of the apps used in this test were “very highly threaded” and also observed Apple’s good reputation when publishing benchmark figures. Apple claims up to a 70 percent performance improvement with its new Macs, which rather refutes Lee’s criticisms. On the one hand, we have a widely repeated claim that Apple’s high-end MacBook Pros may not deliver all they promise; while on the other we have numerous reputable sources casting doubt on that claim. Ultimately, of course, data concerning speeds and feeds doesn’t provide the complete picture when attempting to assess the capabilities of any machine. Processor benchmarks are significant, of course they are, but represent just one component of overall system performance. Performance is also defined by what you are trying to do, the software you use to get that task done, and how efficiently the hardware, software and operating system all work together. Software -- even test software -- that is poorly optimized for the hardware or the hardware operating system will impose its own performance tax, which seems to be the root of the Premiere problem. That’s not something you'll fix by putting your Mac in the freezer. Why would anyone do that, unless they wanted the clicks? It really comes down to what you want to do. On that metric, I can tell you that the dozen or so professional Mac users I spoke with this week universally praised the power and performance of their new MacBook Pros. I can also observe that pro Mac users in the video space will almost certainly use an external GPU (up to four are supported) to help accelerate some tasks, rather than remaining reliant on the core system for everything. Hangman Studios senior colorist, Byron Wijayawardena works for a company that (among other things) films live performances from some of the world’s biggest musical acts. They film the gig, edit overnight, and create professional video footage for use online, on social media and in full movies on the road and overnight. To meet these punishing overnight schedules, they are using MacBook Pros to ingest and edit vast amounts of content in extraordinarily ad hoc situations overnight for next day release. He’s a professional in the field of high-end video, and he’s convinced the new Macs are faster and better performing. He even told me that some of the tasks his company does “would not have been possible” five years ago. I look forward to seeing future performance tests of Apple's new Macs achieving the same kind of attention as Lee’s, once the people who make the benchmark software used say it can provide “meaningful” performance measures. Meanwhile, I know which Mac I want to edit video on.